In a recent interview, Hillary Clinton said she would "call for white people, like myself, to put ourselves in the shoes of those African-American families" — unusually direct language about white people from a major political figure. We've spent a lot of time recently thinking about the idea of whiteness — as a political identity, as a foundational dynamic in our politics, and the ways we talk (or don't talk) about it. It was even the first episode of our new podcast. Apparently, we're not alone. Our colleague Eyder Peralta noticed that the number of searches for the term "white people" on Google has started to trend upward in recent months. A quick primer on how Google Trends works: It looks at the relative searches for a specific term over time. It can't tell us how many searches there were for "white people" compared to all other search traffic on Google, or even exactly how many people were searching that term at any given moment. What it does show is how interest in any given search term has gone up and down over time, relative to the highest period of interest in that same term since 2004. A big jump in searches for a specific term often correlates to something happening in the news. Searches for "Donald Trump" start to jump in the summer of 2015, around the same time his campaign started gaining momentum. To go back a bit further, searches for "Jeremiah Wright" start to really skyrocket in early 2008, when then-Sen. Barack Obama was vying for the Democratic nomination — and interestingly, we see a roughly similar jump in searches for "white people" around the same time. It might not be terribly surprising that more people are searching for "white people" right now. There's been a lot of digital ink spilled on how white Americans are shrinking as a percentage of the country's electorate, and there's more thinking about white people as explicitly raced — as opposed to the past half-century, when the political interests of nonwhites were discussed in terms of race and identity, while the political concerns of white people were typically discussed using terms like "mainstream" and "middle America." That is to say, we're starting to talk about white people more like the way we talk about everyone else. It also probably matters that this election has been especially suffused with issues of race and identity, like Trump's infamous Mexicans-as-rapists remarks or his calls to deport Muslims. 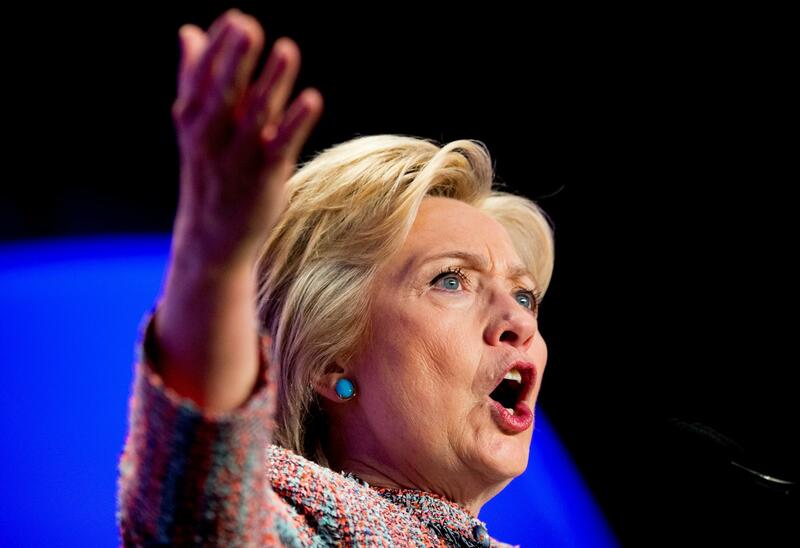 And it was the reaction to police shootings (and shootings of the police) that initially prompted Eyder to look up searches for "white people"; Hillary Clinton recently remarked that she was "going to be talking to white people" and asking them to listen to the "legitimate cries" of black people — another example of uncommonly direct language about white people from a major political figure. So there's no mystery to the huge spike in interest in the term "white people" this election cycle. But the above graph also shows spikes in searches for "white people" back in the late summer of 2009 and again in early 2010. We've been scratching our heads trying to figure out just what was going on in the world then to prompt them. Our editor Alicia Montgomery wondered whether the 2009 jump might have been related to "the White House beer summit" — but when we took a closer look, we saw that while the beer summit happened in July of 2009, the 2009 spike in "white people" searches happened a few months later, in September. But Aly Hurt, our colleague who designed the above graph, said there don't seem to be a lot of Google results for the "white people stole my car" thing overall, which suggests it might not have been big enough to drive that spike back in 2009, although the dates — late August through early September — do seem to line up. So that might be what happened in 2009. But what explains another spike in searches for "white people" a few months later, around February 2010? We're still mulling it over, and we'd love to hear any guesses you might have; tweet us at @NPRCodeSwitch or email at codeswitch@npr.org.